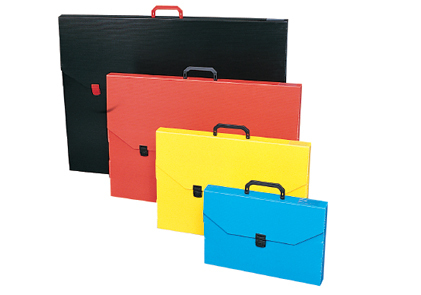 Keep your artwork safe in our portfolio and studio cases. Made from tough lightweight Polyrib fluted Polypropylene with handle and clip closure. Available in A1, A2 ,A3 ,A4 sizes.